1. 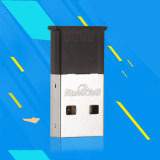 First，if your computer don’t have a built-in bluetooth or it can’t work ,you need buy a bluetooth adapter(dongle).In order to has a good compatibility with BlueSoleil, you can buy a bluetooth adapter fromBlueSoleil website. 4. Double-click "the sun" or "the moon" (the state of the evening)in the middle of the interface or right-click to choose “search equipment”. 5. 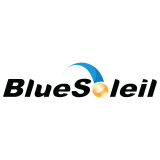 If the mobile phone can be searched, the icon of the mobile phone will appear on BlueSoleil interface. 6. When the mobile phone icon appears, double-click /right click the icon to match with the mobile phone, once successed there will be a green tag at the right corner of the mobile phone icon. If prompt for a password, you should input the same password on the cell phone and computer , otherwise it can prompt that they are not match. 7. If they match successfully, right-click /double-click the phone icon, search service. After that, you can find several supporting services of your phone. 8. 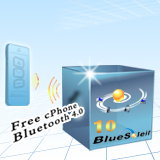 If your phone support bluetooth file transfer service, congratulations that you can access to the files in your phone on the computer, so you can operate the files in a mobile phone. 9. Right-click the phone icon, select the bluetooth file transfer service（ FTP）, or click the phone icon, find the bluetooth file transfer service on the top row, right click to open. 10. 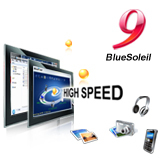 Click the bluetooth file transfer service（FTP）, open the dialog box. 11. You can receive an alert tips, click ok, the files on your phone can display on the computer. 12. If your phone have’t received the tips, right-click the blank space to choose to update the current file. 14. Now you can operate the files, you can view the pictures, view documents on the computer, you can copy the files on your phone to the computer, either in turn, (note: in the process of operation, phone always receive the FTP prompt, only after click ok the files can be transmitted). 16. How to set the path of the bluetooth file transfer service: select the sun, then right-click the file transfer service, select properties, then click options .Click the application in a modified form.